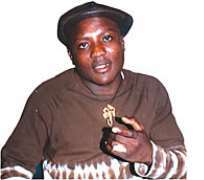 FUJI Musicians Association of Nigeria (FUMAN) has reaffirmed the suspension of Alhaji Saheed Osupa, following the resolution of the Disciplinary Committee and subject to the ratification of the National Working Committee (NWC) and National Executive Council (NEC) of the association on the fine of N250,000 placed on him, recently. According to Entertainment Plus source, before Osupa was suspended, he was accused of issuing a bounced cheque to the association and proved stubborn to visit Alhaji Saka Orobo and Alhaji Ayinla Kollington after he had sent a letter of apology to the duo through the National General Secretary, Alhaji Iyanda Composer. He was also banned from participating in any concerts and outings until he proves to be a good ambassador of the association. Speaking on the issue, the General Secretary, Alhaji Composer said despite the fact that Osupa was placed on suspension over his gross misconduct, he still went ahead to release about five records which included Ota Aje, Ota Po, Ilara and two others under three weeks, insulting the leadership of FUMAN and thereby creating avenue for open confrontation. Composer said that the association has reaffirmed the suspension of Osupa, adding that stakeholders in the industry should suspend any transaction with him till further notice. “We call on stakeholders in the industry to do away with him as FUMAN would not be liable to whatever comes out of any transaction made with him,” he said. It will be recalled that Osupa's ordeal started immediately he was crowned as King of Music in 2008 by Alhaji Ayinde Barrister.